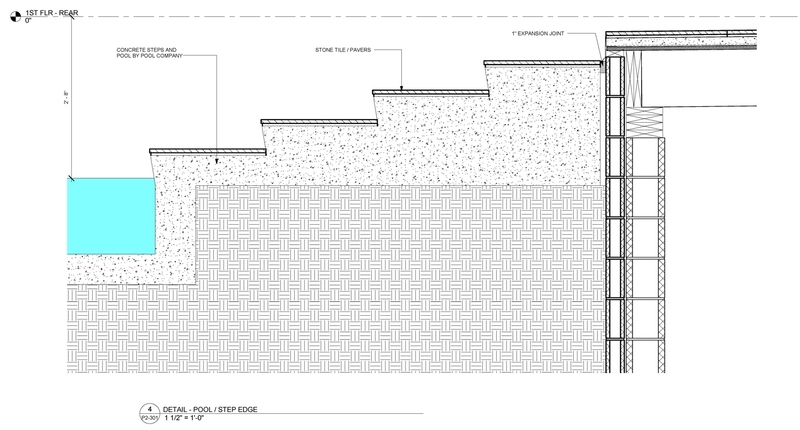 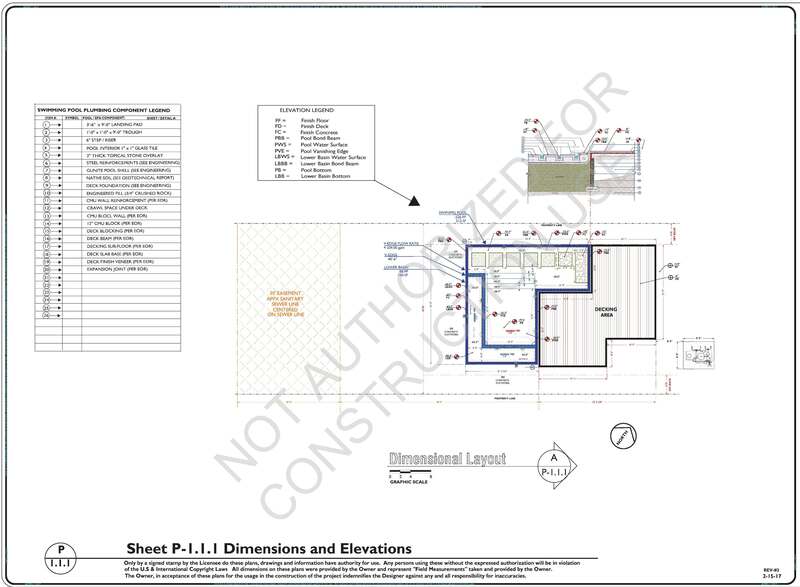 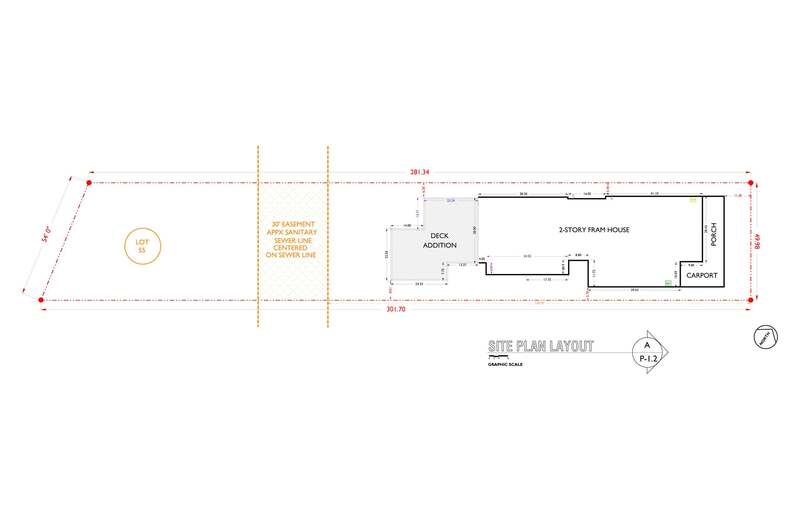 The plan sheet below exhibits the DIMENSIONS and ELEVATIONS referencing for the further descriptions for the proposed construction approaches. 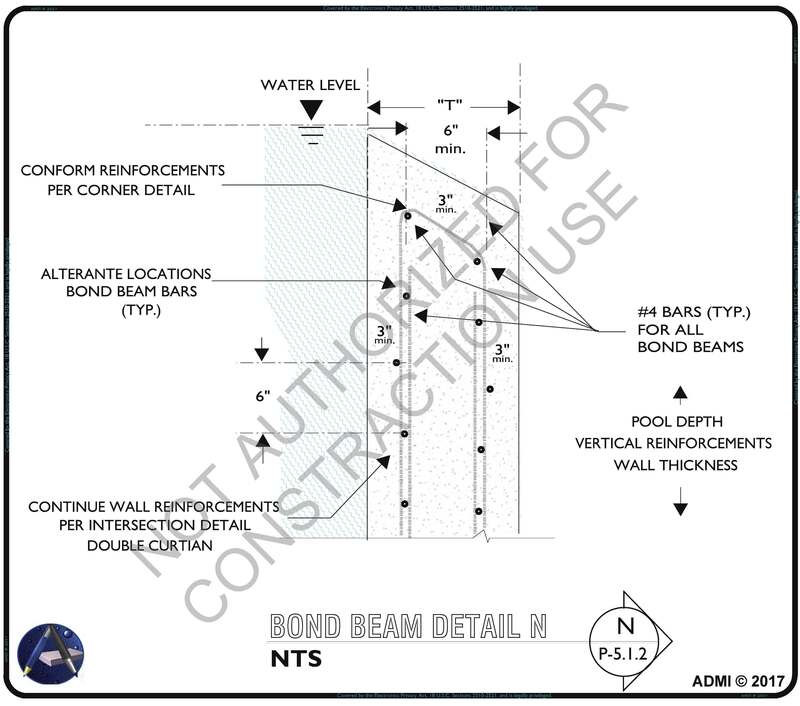 The plan Detail below exhibits the ELEVATIONS referencing for the further descriptions for the proposed construction approaches. 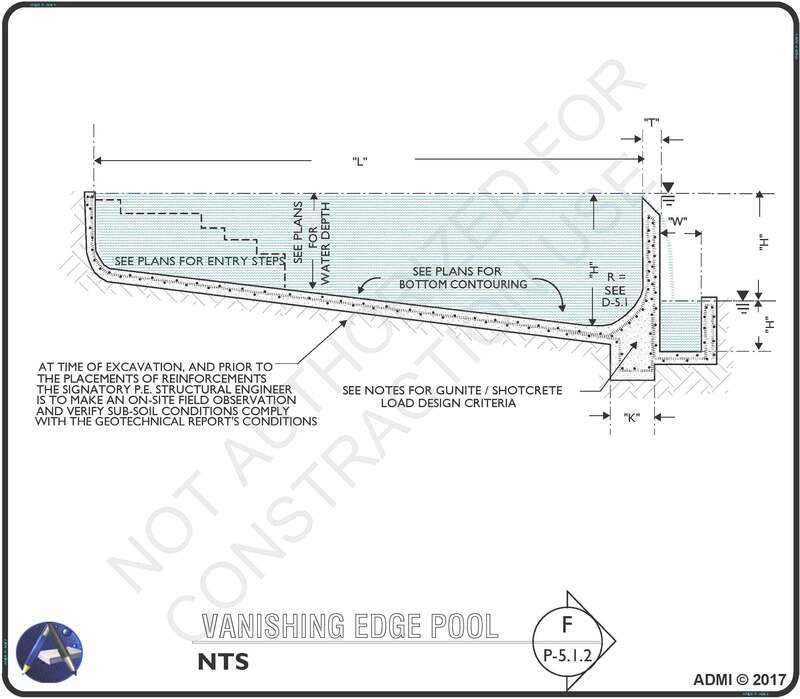 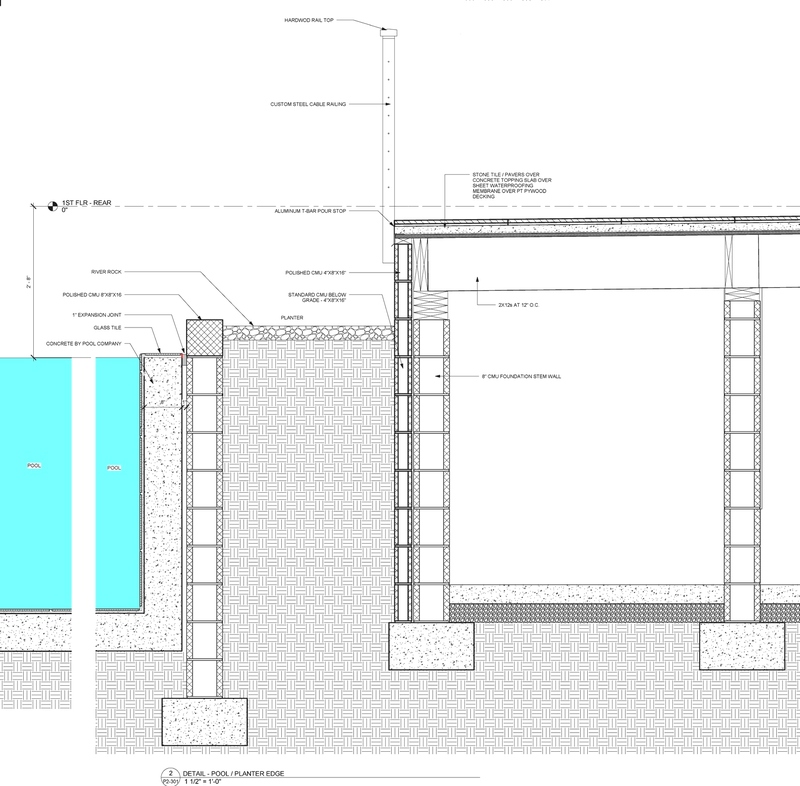 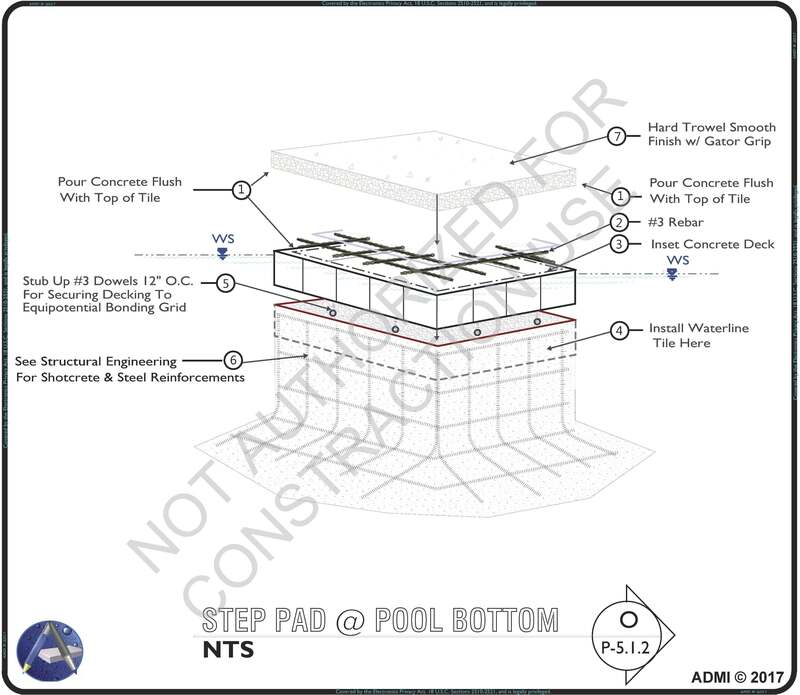 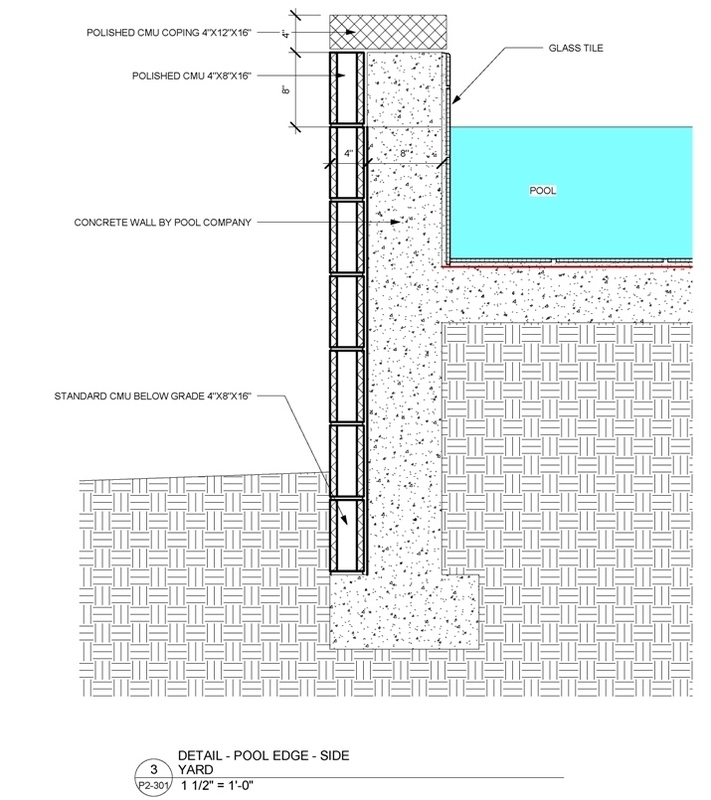 The “DETAILS” below reflect “general” examples for several elements of the pool’s proposed construction approach. 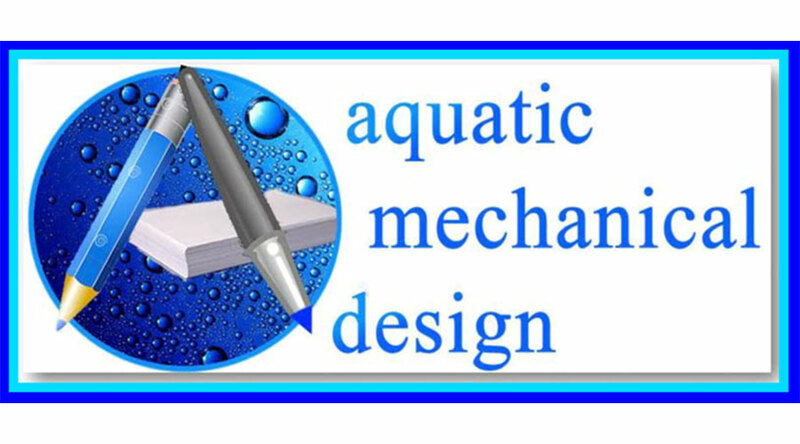 Please review and provide responding comments as to their applications. 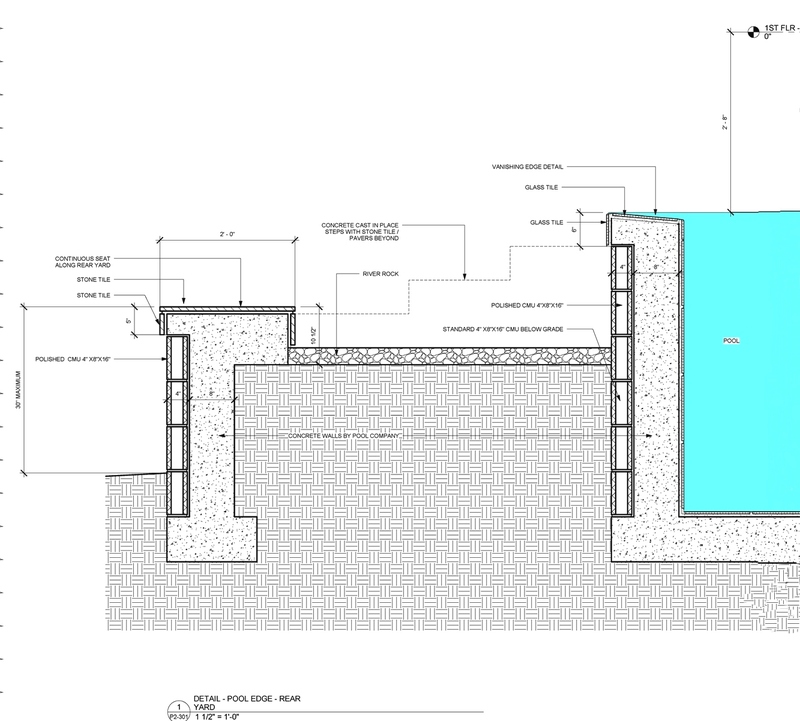 This P-1.1.1 PRELIMINARY DIMENSIONAL POOL LAYOUT provides you with a layout sheet that can be printed, marked up with the information being requested and emailed returned completed.